The Flipkart Fashion Sale [3-5 Jan]- 10% Off with HDFC Credit Cards | Upto 80% Off on Fashion | Flat 5K Off on iPhone 6 & many more offers! Flipkart is launching The Flipkart Fashion Sale [3 Jan-5 Jan] in association with HDFC Bank Credit Cards. During this sale event, we are offering Extra 10% Instant Discount* on HDFC Bank Credit Cards. Also, avail 10% Instant Discount with American Express Cards on purchase of Flipkart Gift card(s). 2. Maintain appropriate inventory levels. 3. Manage production expenses and maintain or reduce COGS. 4. 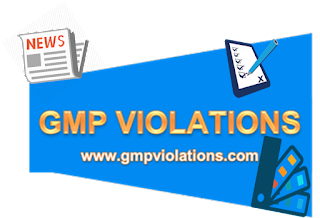 Responsible for maintaining quality standards to meet GMP requirements. 5. Look after the FDA, MHRA, WHO and other regulatory Audits of the manufacturing facilities and processes. 6. Interface with the statutory bodies and ensure statutory compliance. Accountable for meeting plant production goals set by the VP manufacturing through the manufacturing budget process. Review, analyze, plan, coordinate and lead all activities within the manufacturing operations organization. Assure the development and coordination of systems and programs to promote cost effective manufacturing operations in line with manufacturing plans and objectives. Support programs and procedures that provide reliable products with minimal quality control, repair, scrap and warranty expense. Assures attainment of programs and production schedules while insuring high quality standards. Accountable for product quality control for the plant. Develops and executes capital and expense budgets and operating plans under the guidance of General Manager. Schedule and conduct plant meetings. Initiate plans and processes which minimize manufacturing costs through effective utilization of manpower, equipment, facilities, materials and capital. Assure development and execution of manufacturing schedules in conjunction with the Materials Manager. Plan and implement manufacturing strategies and action plans to insure that the manufacturing operations group supports the strategic imperatives. Monitor plant performance and communicate progress against objectives to management. Confer with department heads to ensure coordination of sales and purchasing and logistics planning functions with site production, maintenance, and shipping groups. Partner with department heads to ensure coordination of purchasing, production, and shipping. Responsible for the smooth work flow process across these functional areas to ensure optimal performance and reduced errors. Assure timely and efficient introduction of new and improved products, to ensure manufacturing input to product strategic plans. Coordinates with R&D and Engineering groups to implement new products and equipment. B.Pharma/M.Pharma with 20-25 years of manufacturing experience in Formulation industry covering operations, maintenance, quality control and good manufacturing practices. Must have 5-6 years of overall plant management experience with proven leadership record. Plant management experience in a plant having more than 600 employees in last two jobs. Experience of managing relations with government agencies. Proven ability to direct and lead plant operations to drive production results. Independent, passionate in their work, customer focused and safety oriented. Established in 1995 Ind-Swift has fast evolved towards a business model that is focused on deep-rooted domestic presence and leveraged on high-value mature regulated markets along with considerable growth in emerging markets:* Ind-Swift Laboratories Ltd. (Manufacturer of APIs)* Ind-Swift Laboratories Inc. (US Subsidiary)With manufacturing sites at 6 different locations across India and an independent State-of-the-Art R&D Centre, the Group has embarked upon a journey to establish itself as reliable partner in the Global Pharmaceutical Industry. 1. 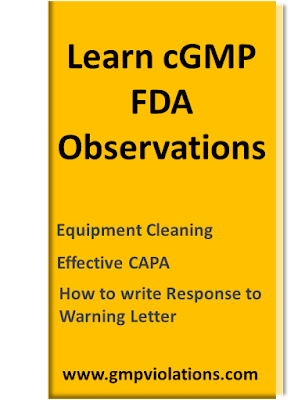 Responsible for GMP/QMS/Hygiene/Good documentation practices compliance for area of assigned activity. 2. To remain all time alert and responsible to ensure truthfulness of data for area of assigned activity as doer or checker..
3. Responsible for preparation and archival of APQR (Annual Product Quality Review). 4. Responsible for approval and distribution of shade card. 5. Responsible for sending the couriers ( National & International ). 6. Responsible for review of BMR and BPR. 7. Responsible to ensure he is trained and qualified for the activities of assigned responsibility. 8. To strictly follow master documents (BMR,BPR,QSD)instructions. In case of any issue raise deviation /change control for investigation and taking remedial action. 9. Any other job assigned time to time as and when required.